Worth checking out: Part 1 of the 2019 Controller & Financial Professional Series is two weeks away. How do you make the best business decisions in the face of political and economic uncertainty? 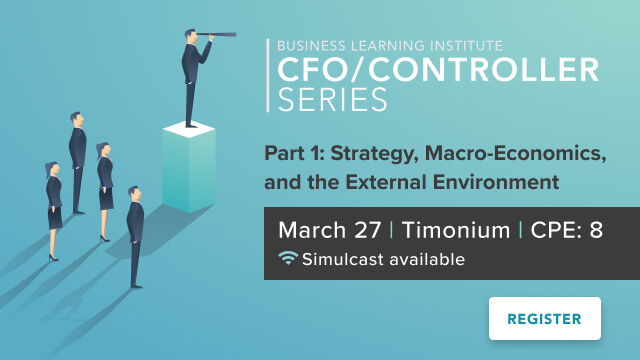 The 2019 CFO/Controller Series shows you how to lead when there is no path.